Instagram stories can be considered as one of the best methods available for business owners to promote their businesses. Instagram has evolved to get into the top 5 most popular social media networks among people who live out there in the world. As a result, the time you spend with Instagram marketing can deliver fruitful results in the long run. 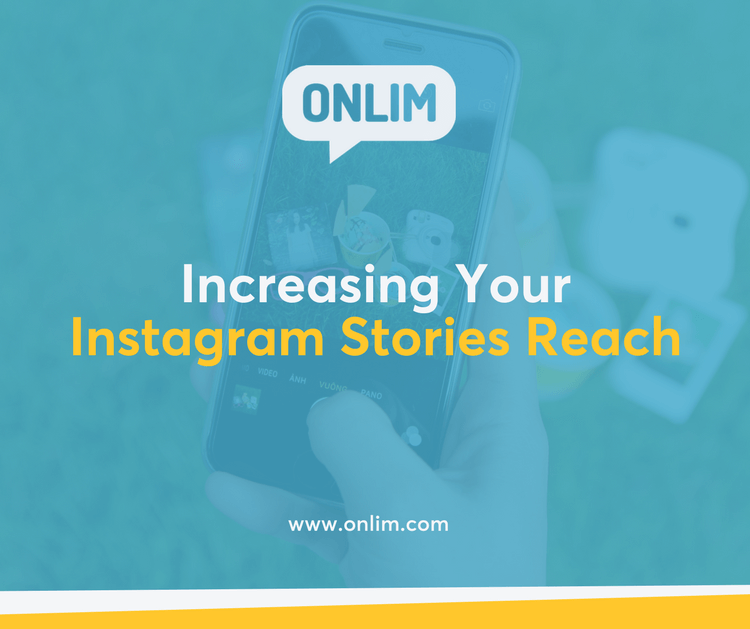 However, you should also have a clear understanding of how to increase the reach of your Instagram stories. Then you can receive the best results out of the time that you spend on promoting your content. The following tips will help you with that. The Instagram timeline is based on an algorithm. But still, the exact time you publish your posts has the ability to create a tremendous impact on their success. If you can target and post at the right time, you will be able to get more people to view what you share. People who have Instagram Business Profiles will be able to do it with minimum hassle. That’s because you will be able to take a look at the Insights and figure out when your followers are most active. If you are not posting quality content via your Instagram profile, you will not be able to get more people to see them. That’s because people will tend to mute your Instagram stories. Then your stories will not be visible to the users in the future and you will not be able to get any views. You are encouraged to be informative with the content that you share on Instagram. If you get questions on the posts, you will need to go ahead and answer them quickly as well. Most of the marketers tend to share the same content across different platforms. You should never make this mistake. Instead, you will have to think about creating specific content for Instagram promotions. As you already know, Instagram is a visual platform. It provides more prominence to visual content than textual content. Therefore, you will have to think about creating specific content, with more visual elements for Instagram stories. You shouldn’t spam the Instagram stories functionality with your marketing efforts. You need to post less. That’s where you will have to come up with an appropriate strategy to publish on Instagram. To get the best results out of Instagram stories, you can publish one fabulous story, instead of sharing 20 low-quality stories. That’s where you need to think twice before you put up a story on Instagram. Instagram provides you with the ability to go ahead with paid advertisements. This feature is available for the stories as well. If you don’t have a rich base of followers, you can think about getting the assistance of Instagram ads. You just need to Boost the Audience and then select an appropriate audience for it. The audience will then be able to drive more engagement towards the stories that you share on social media network. This method can provide an excellent assistance to you with increasing the number of followers that you have as well. Instagram recently introduced a fascinating feature called Instagram Go Live. You will be able to use this feature in order to get closer to your audiences. When you go live, your video will be saved in the place where you can see the Instagram stories. Instead of just uploading stories, you can think about adding more variety to the content along with the help of Go Live feature. Instagram stories can be considered as one of the best features available for you to tell stories. Therefore, you shouldn’t feel afraid to go ahead and tell stories with the help of this functionality. You will be able to stand out with the help of this feature before the things get too crowded. The stories that you upload will be able to grab more attention from your audiences. People will also be curious to swipe or navigate to your profile to understand what they can expect next. Hence, this is one of the most useful tips that you should never ignore. User-generated content can also come from your Instagram stories. According to professional social media marketers, you will be able to increase your follower base by around 500% in just 6 months with the help of user-generated content. All you have to do is to get them into your stories. For example, if a follower sends you a message, you can answer it and publish via Instagram stories. Then people will understand how caring your Instagram profile is for them. As a result, you will be able to increase the follower count with minimum hassle. Instagram stories are meant to engage with your audiences. Hence, you will have to think about grabbing the most out of excellent opportunity available. You can simply host new contests and then ask questions from your audience. This will help you to tempt your audience to go ahead and engage with your profile. It is also possible for you to organize giveaways via Instagram stories. Time, effort and money you invest in it can deliver amazing results in the long run. You can also get videos up on Instagram stories. You will be able to do your own experiments with the videos that you upload on Instagram stories. For example, you can see what kind of videos generates more user engagement. Then you can stick to such videos to take your Instagram stories to the next level. Ray is the owner of Engage Hub (https://engagehub.co.uk/), a Social Media Agency in Manchester, UK. We are a social media and influencer agency who have a passion for video, engaging content and disruptive campaigns.